When June Nichols said it was my turn I thought "It can't be, I'm not a performer or a personality. I'm just part of the folk family." At that point I realised it was my turn. We appreciators of (all things) folk sometimes get an opportunity to say thank you, and I'm taking this one. I was born in Mullumbimby in 1955 and I've been gathering memories and moments ever since. Here are a few from my collection. You might have some similar ones. I remember.... Standing next to Dave Alexander in the singing session round the campfire at Numeralla ; Dancing the sun up on Mt Cootha on Mayday; Watching Mick O'Rourke fiddle to an enraptured lamb; Being best man at a hand fasting (wedding) ; Going to the Nariel Creek Festival back when it was on the Labour Day weekend; Listening to my Dad sing his Barber Shop Quartet repertoire as he hung out the washing - I handed up the pegs to him; Accepting payment for festival tickets in copper and silver coins from folk who'd come straight from busking; Body surfing in a cold southern ocean with Cliff Gilbert-Pursey at the Port Fairy Folk Festival ; Singing all the verses of 'On Ilkley Moor baht 'at' as we travelled in the car as kids; Learning how to play piano, guitar, whistle, concertina, and button accordion (note the 'how' ) ; Selling fish to Rita Mills T.I. 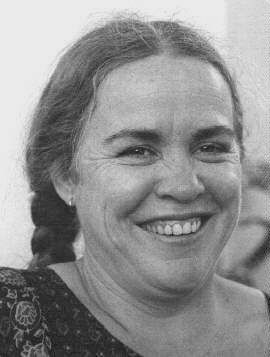 '80; Sitting on the verandah the morning after the party and listening to the music; Being formally introduced to Peter Auty as he lay (somewhat inebriated) on my front lawn; Practising for Folk Masses - Tumbarumba '68; Singing in the Chorus Cup at the Brisbane National '81 ; Being taught Bridge by Hugh McEwan ; Dancing the Lancers, Sweets of May, Baker's Wife, Fairy Reel and many more with the Melbourne Colonial Dancers ; Wearing out LP's by the Doors, Bob Dylan, Led Zeppelin, Arlo Guthrie, Nina Simone, the Rolling Stones, CSN&Y (individually and together), and David Bowie - you've got to study something in High School; Sitting by the Creek at Imbil: Singing Christmas Carols with my brothers and sister at the Old Folks Home on Christmas Eve; Seeing what Joan Baez could do with a guitar, a stool, two microphones and a voice; Listening to my Mum read Australian poetry for our bedtime stories; Seeing Martin Pearson dry-up for 2 hours (dishes that is) ; Enjoying live, acoustic music at various inner-city Sydney venues in the early '70s totally unaware that this was folk music and there was heaps more; Seeing Colin Dryden on stage; Being fully adopted by the folk family in Albury and experiencing that feeling of coming home. Listening to Ken Butler sing in my kitchen. These are like patches from a quilt. There are many more - the music, the musicians, the performers, the performances, the songs, the tunes, the dancers, the dancing, the family, the friendships - all gifts that I have been given, and often without being known by the giver. In closing I would just like to say thank you to all of you who make up the folk family. It is a constant source of joy to me to see the family grow and flourish and to see the young ones blossom. So many different people contribute in so many different ways. It seems to be working. I know I'm having a damn fine time. By the way, did I say I like the music?